Great for the Blind and Visually Impaired. Announces time and date. Jumbo 3/4-inch X 3/4-inch LCD with time displayed in large, clear nearly 1/2-inch black digits. Display shows time, day of week, date, year. 4 separate alarm reminders help you remember important things like times to take medication, appointments, etc. 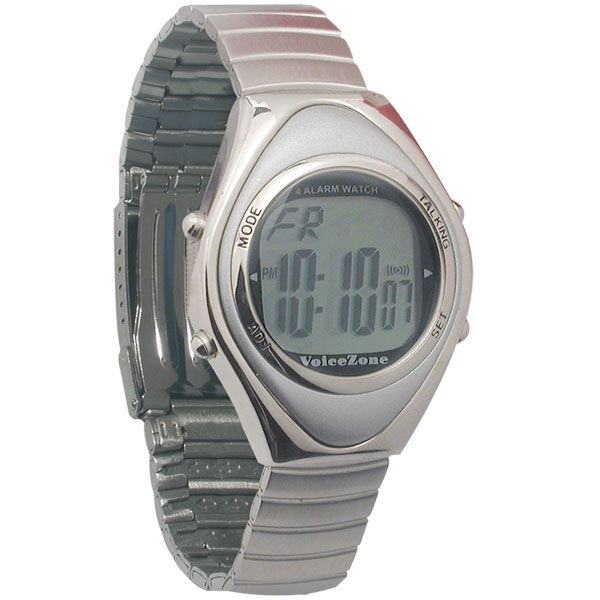 Talking 24 hour stopwatch announces the elapsed time automatically - great for jogging, working out, racing. Also records lap times. Hourly time announcement from 7:00am to 9:00pm. Auto-calendar programmed through the year 2090. Battery: One - CR2016 Lithium cell included.